The well accepted definition of public relations is: “The management function that develops a relationship between an organization and the stakeholders on whom its future depends. For effective public relations, focus on relationships. After practicing professional public relations worldwide for almost 20 years, I was entirely gratified to hear the sage words of John Couris, Chief Executive Officer of Tampa General Hospital, during his presentation to the sold-out audience at The Greater Tampa Chamber of Commerce’s 2018 Circle of Influence breakfast. “It’s not the transaction, it’s the relationship,” Couris declared. “Are you too focused on the transactions and not the relationships with your customers and clients?” The cliché absolutely applied: as the audience pondered his question, you could have heard a pin drop. 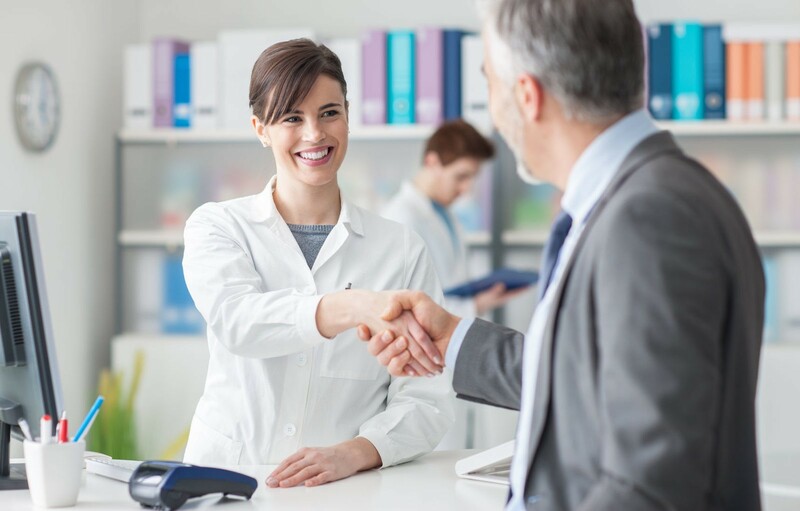 Perhaps like you, I’ve seen healthcare delivery evolve into a numbers game in which providers and insurers analyze to the nth-degree each touch of the patient to maximize their value in the transaction. That’s why it was so meaningful (refreshing?) to hear Couris talk of a different game, one in which the parties will have mutually-beneficial relationships that support and yet transcend the transaction. This is the future of healthcare, he told the audience, and it rests on three legs: innovation, partnership and collaboration. What about your organization or business? Are you focusing too much on the transaction and not the relationship? Transaction: A noun indicating an instance of buying or selling something; a business deal; an undertaking, arrangement, bargain, negotiation, agreement, settlement, proceedings; the action of conducting business; an exchange of goods or services between a buyer and seller. It’s all so very chilly; not at all human, this transaction thing. I don’t think I’ll have one today, thank you. Relationship: Also a noun, it is often described as the way in which two or more concepts, objects, or people are connected; the state of being connected; interrelation, link, association, alliance, kinship, interconnection; the way in which two or more people regard and behave toward each other; attachment, affinity. Warm, inviting, comfortable this relationship thing. Now that’s better. I’m in. I’ll take two, please. Which brings to mind my answer when people ask me the difference between marketing and PR. It’s this: Marketing is the highway billboard. PR the warm handshake. The billboard promotes a transaction. The handshake starts a relationship. Drive by a hospital and think about what they do in there. Operations, births, transplants, emergency medicine, fixing broken bones and other body parts, healing sicknesses, physical therapies, taking blood, teaching about health and healthy living, or why you haven’t been. Transactions, often painful ones. You really don’t want to go in there to buy those products and services, do you? You’ll keep on driving. Ah, but as you drive by, think about the why of a hospital, as Couris describes it, one that wants a relationship with you. Inside, they are caring, helping, supporting, advocating, serving, aiding, assisting, often in an attentive, gentle, understanding, compassionate and thoughtful way that is a positive and very personal experience. Hmm. That’s nice. I think I’ll turn in. In either of those paragraphs, take out the word hospital and replace it with the name of your business, and you’ve got the answer to the question in the headline on this commentary. What would happen if your business focused more on relationships rather than transactions? (With thanks to Couris and TGH for generating what I believe so appropriate an example for all businesses). Learn more about Public Relations services for business with Clearview Communications.